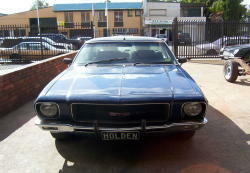 1970 Holden GTS Monaro PG 1. The car as it came in. 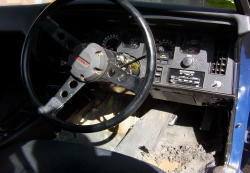 The interior was well worn. 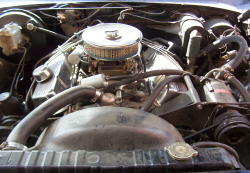 The engine bay. 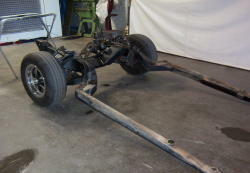 Front subframe after removing the body, this was stripped down as well. 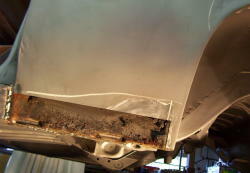 Once the body had the paint removed we found it was in excellent condition,there was minimal rust damage. 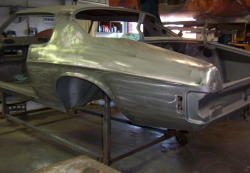 Filing up the rear quater panels. 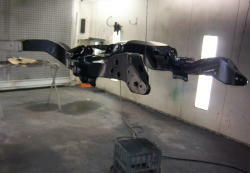 The subframe after painting. Preparing the body for primer.